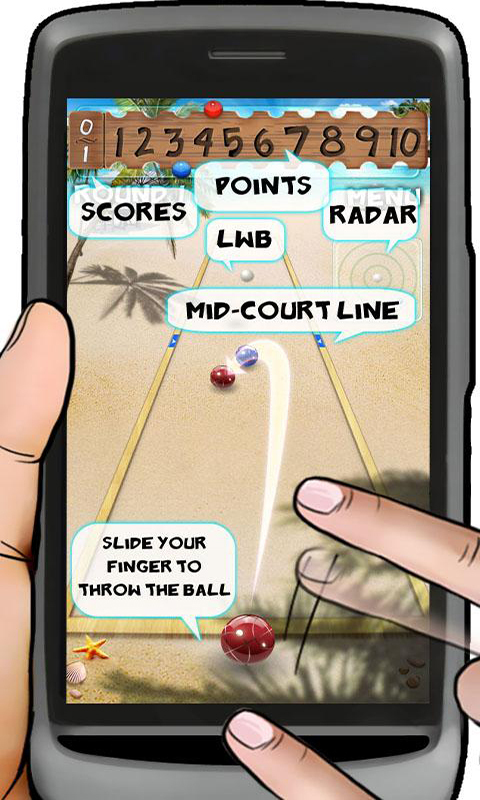 Slide your finger on the screen to throw the balls. Practice more and try to control the direction and strength. Provides: single player mode with AI, multi player mode with your close friend. 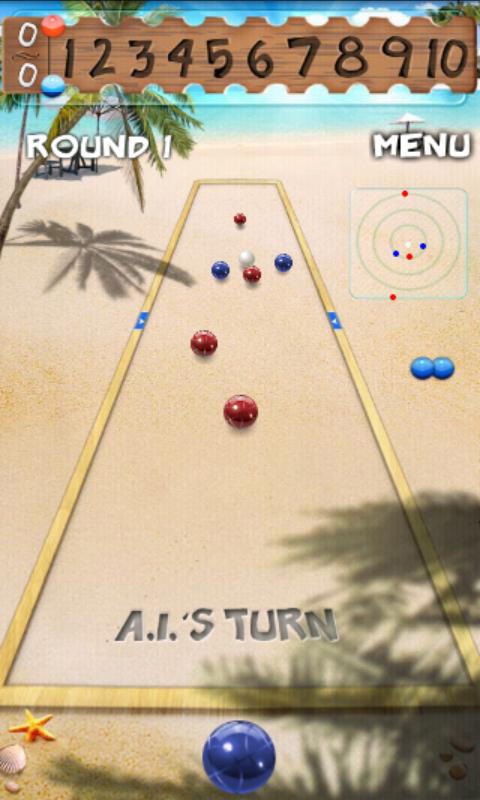 Rules for Bocce: Bocce can be played against the AI, player vs player, or in teams from 2-4 players each. 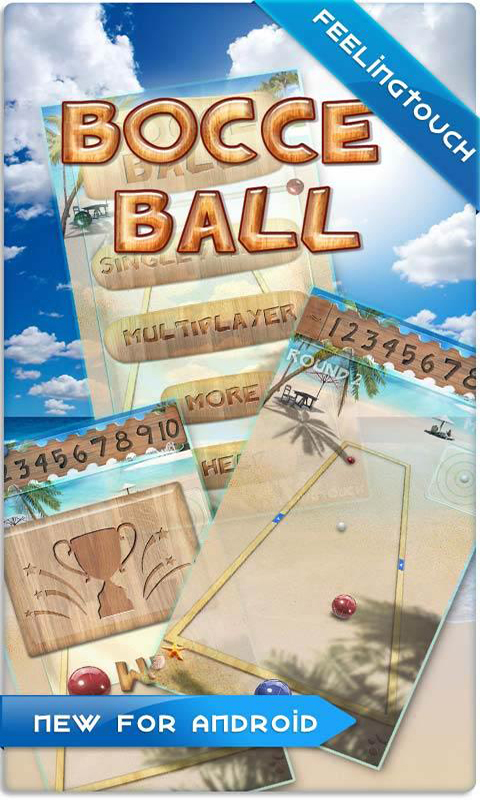 To start a game, each side chooses one player to throw one bocce ball in a "roll off", the one closest to the mid-court line win the "roll off" and goes first. But how to win, it needs you to find.